Elsevier - Health Sciences Division, 1995. Paperback. Good. Disclaimer:A copy that has been read, but remains in clean condition. All pages are intact, and the cover is intact. The spine may show signs of wear. Pages can include limited notes and highlighting, and the copy can include previous owner inscriptions. An ex-library book and may have standard library stamps and/or stickers. At ThriftBooks, our motto is: Read More, Spend Less.Dust jacket quality is not guaranteed. Elsevier - Health Sciences Division, 1995. Paperback. Acceptable. Disclaimer:A readable copy. All pages are intact, and the cover is intact. Pages can include considerable notes-in pen or highlighter-but the notes cannot obscure the text. At ThriftBooks, our motto is: Read More, Spend Less.Dust jacket quality is not guaranteed. Elsevier - Health Sciences Division, 1995. Paperback. Good. Disclaimer:A copy that has been read, but remains in clean condition. All pages are intact, and the cover is intact. The spine may show signs of wear. Pages can include limited notes and highlighting, and the copy can include previous owner inscriptions. At ThriftBooks, our motto is: Read More, Spend Less.Dust jacket quality is not guaranteed. Eastland Press. PAPERBACK. 0939616173 . Very Good. Seattle, WA: Eastland Press. Near Fine. 1993. 3rd Printing. Trade Paperback. 0939616173 . 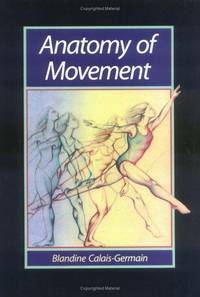 Large paperback in excellent condition, no remarkable flaws to this clean, attractive copy, illustrated throughout with drawings, "No other book describes function and structural realities of movement so clearly and simply" ; 289 pages . W.B. Saunders Company, 1997. Trade paperback. Very good. Signed by previous owner. Trade paperback (US). Glued binding. 289 p.
Eastland Press, October 1993. Trade . 3.1 PB standard 50%.